We’ve all heard about the family that enters a contest and wins a new house. Everyone is excited. Members of the press trip over each other in order to produce the best photos and the most glowing accounts about this wonderful new house. The family settles in and then the utility and tax bills come in. How, they wonder, will we ever afford the upkeep? Why am I talking about buyer’s remorse? I believe this describes how Idahoans have begun to feel about the Smarter Balanced Assessment Consortium (SBAC) tests associated with Common Core. Rumblings about high stakes testing associated with Common Core developed as soon as people realized that by signing on to Race to the Top, a state committed to testing. It took citizens a bit to realize what they bought into because Race to the Top was a grant. The legislature did not have to debate the issue. New York was one of the first states to test, and the reactions of concerned parents and testing experts were reported nationwide. Objections have been widely reported by organizations such as Fair Test http://www.fairtest.org/ and by education blogger Diane Ravitch http://dianeravitch.net/ . What are the feelings of regret and remorse in Idaho? Many parents are questioning the purpose of the SBAC tests. Parents want to know if their child is learning and how well they are learning. Will SBAC give that information? My response is “No.” The tests are administered in the spring and results are not available until months later. By then a child has matured and moved on to the next grade and a different teacher. Parents want to know how to help their child improve in skills and knowledge. This requires timely and specific feedback. Will SBAC results be able to give you and your child’s teacher the information you need to know tomorrow to help your child understand fractions or improve his or her reading comprehension? Again, SBAC will not provide that information. Will SBAC help your child’s teacher target instruction? Not likely, because the results don’t come back for months. By then the teacher has a different group of students. What will help your child is a teacher who uses classroom assessment to identify your child’s strengths and weaknesses. That’s how it used to work when we went to school. That’s how it should work for your child. As a teacher, I can attest to the importance of classroom tests in helping me be the best possible teacher. I used the results to help each child. I had those results when I sat down with parents to discuss how we could work together to help a child succeed. I had those results when I reflected on what I needed to change in the next lessons so my students would learn better. Last week nine district superintendents wrote a white paper to Mr. Luna expressing their concerns about SBAC which is to be field tested in Spring 2014. 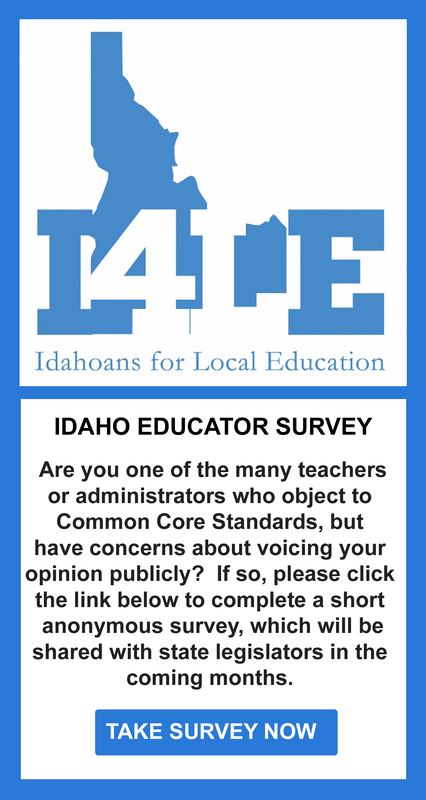 The paper can be viewed at http://www.idahoednews.org/wp-content/uploads/2013/12/White-paper-SBAC.pdf. In their paper, the superintendents addressed the monetary and time costs, as well as tying up computer labs for weeks. Buyer’s remorse has set in. Parents are not getting a straight answer to the question, “How will the results of this test help my child?” Teachers are questioning how results months later will help them better teach their students. Superintendents are questioning the costs and the purpose of SBAC. With so many questions left to be answered maybe the buyer should step back and rethink the purchase while there’s still time to return it.